LENGTH OVERALL: 7 inches (Type I), 6 3/4 inches (Types 2 - 5) SIGHTS: Fixed. WEIGHT: 24 Ounces FINISH: Blued or Nickel, Special Order finishes. 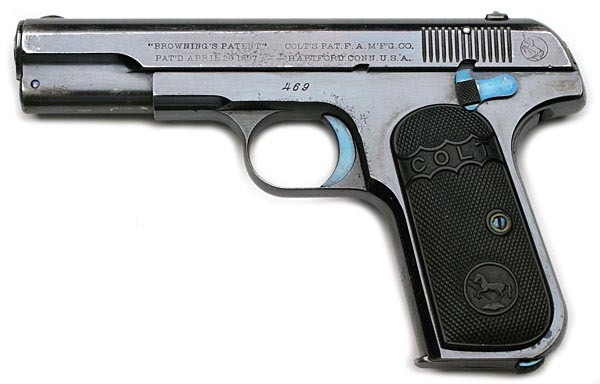 Colt Pocket Model Automatic Pistol advertised in 1935 Colt Catalog. Retail price in 1935 was $20.50.